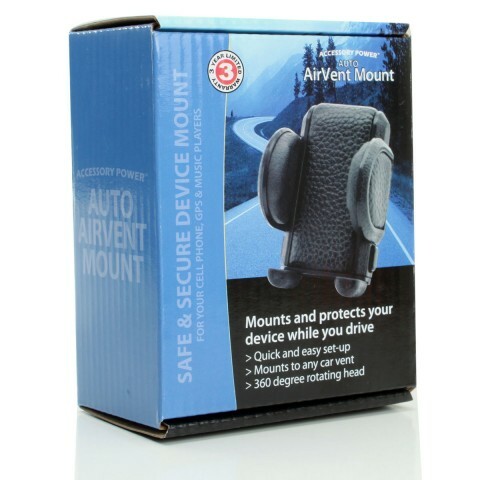 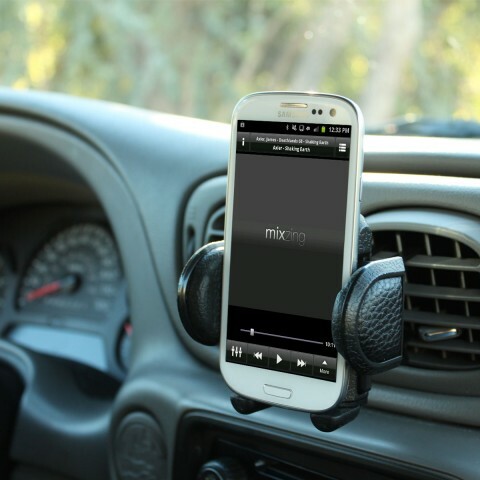 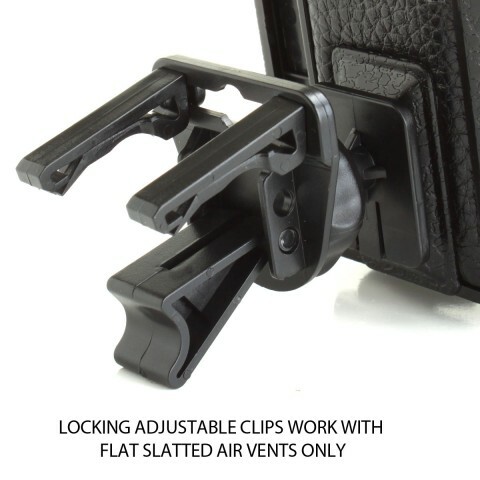 USA Gear's easy-setup Air Vent Mount is highly adjustable and allows you to mount your smartphone to the AC vents in your car , truck or other vehicle! 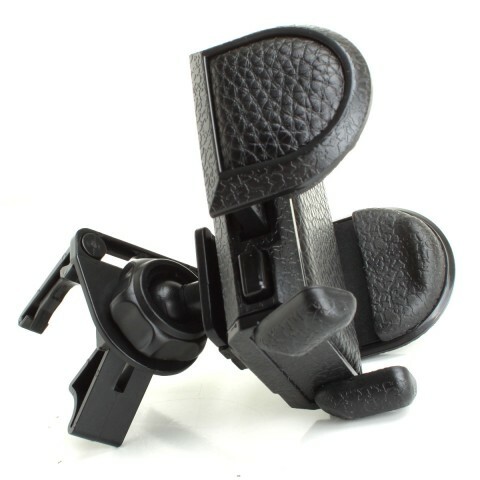 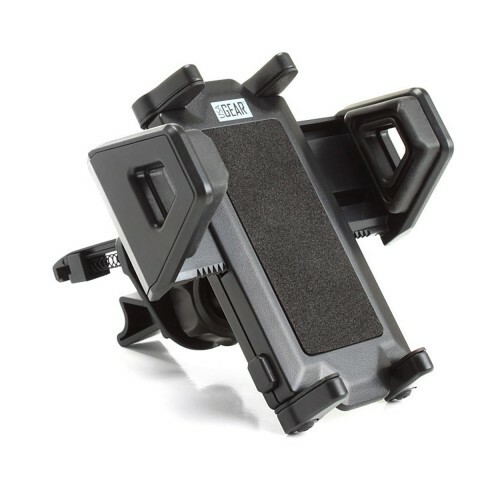 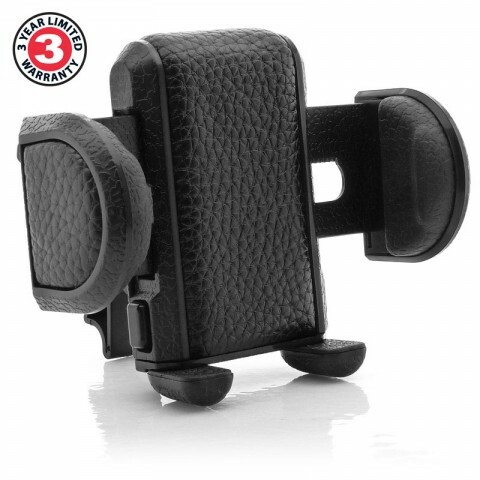 The unique, fully adjustable cradle provides a firm grip to your device with two cradle feet for an all-around secure fit. 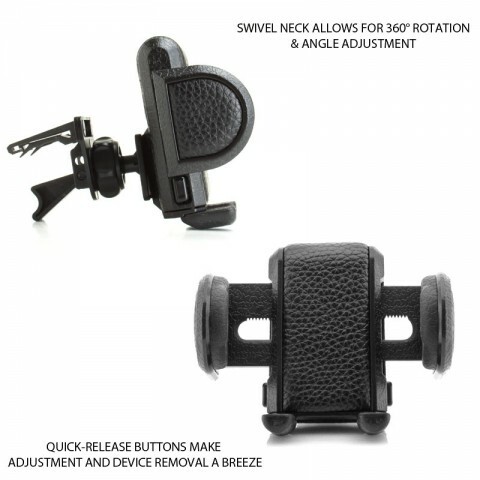 The fully articulating, 360 degree swivel head makes device positioning fully customisable for optimal phone display!